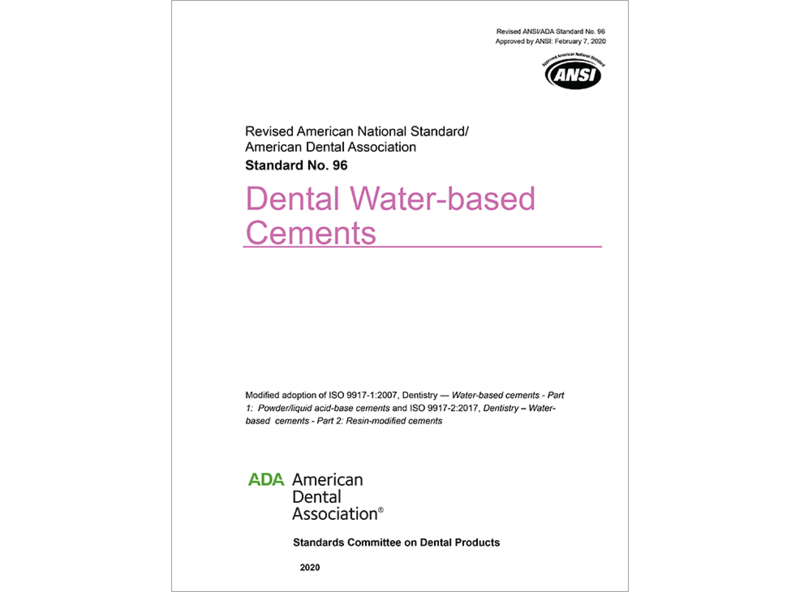 (DOWNLOADABLE PRODUCT) This standard specifies requirements and test methods for powder/liquid acid-base dental cements intended for permanent cemetation, lining and restoration. Part 1 specifies limits for each of the properties according to whether the cement is intended for use as a luting agent, a base or liner or as a restorative material. Part 2 address resin-modified water-based cements.